The stuffing is a combination of fresh breadcrumbs, sage, and chopped celery. Add some crab meat, chopped shrimp, or mushrooms to the stuffing if you'd like, or mix in about 1/4 cup of Parmesan cheese. Line the prepared muffin cups with fish strips; sprinkle lightly with salt. In a small skillet, saute onion and celery in butter until just tender. Combine the vegetable and butter mixture with 1 teaspoon salt, ground black pepper, sage, and bread cubes. Add a little hot water if stuffing seems too dry. Spoon stuffing into each fish-lined muffin cup. Dot the top of each stuffing center with about 1/2 teaspoon of butter then sprinkle with chopped parsley. 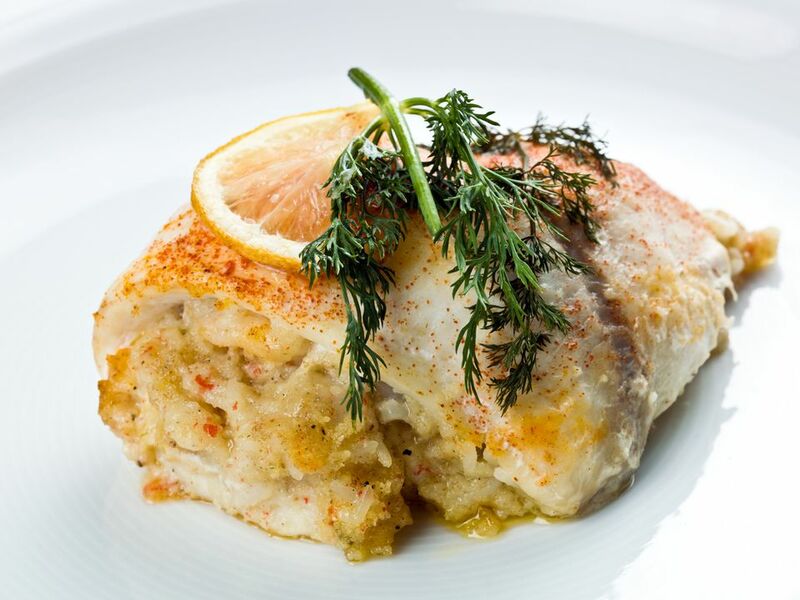 Bake in the preheated oven for 30 minutes, or until fish flakes easily with a fork.